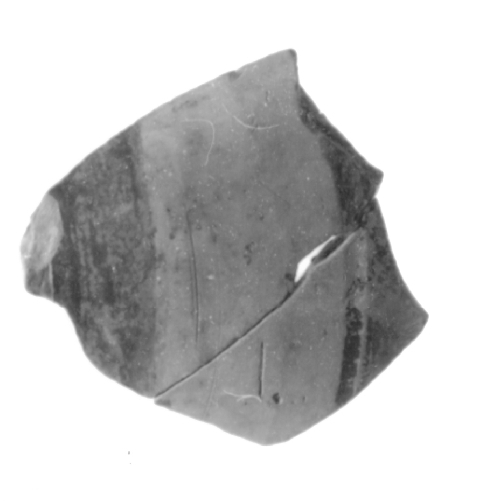 Description Roughly square fragment of a vessel wall. The shape and curvature suggest this portion of the wall was near the base. The interior displays a series of parallel ridges, probably from throwing the vessel. The exterior is painted with preserved portions of two parallel, brown bands.